James Elliott read English at the University of Leeds. He joined us in 1997 and qualified as a solicitor in 2001. 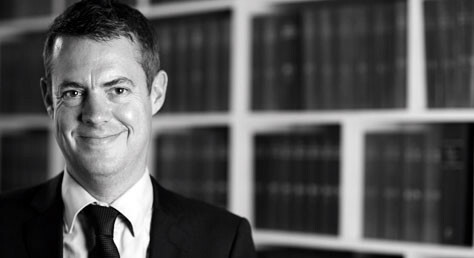 James became a partner in 2010 and is head of the public law department. James has been recognised as a leader in his field for a number of years by Chambers Legal Directory which notes his “remarkable confidence and drive” and in its 2012 edition that clients affirm “he is very thorough and pays great attention to detail.” “He has a mixed public law and immigration practice. He focuses on representing those resisting a removal from the UK and those who have been detained by the state” (2014). “Has great expertise in public law matters” (2015). He is “tremendously knowledgeable.” (2016). James is experienced in all areas of asylum and immigration work. James specialises in obtaining judicial review and injunctions for people facing removal or who are in immigration detention. He has also conducted a large number of High Court claims for individuals facing delay at the hands of the Home Office and British embassies overseas. James has been a trainer for several years for ILPA. He has conducted field trips to gather evidence for country guidance cases. Interests: Travel, history and Crystal Palace.